There may be technical difficulties with this quiz for the Netscape browser. If you are having problems and wish to do the quiz, you will have to grit your teeth and use a 4.0 or higher version of Internet Explorer. You can go to Microsoft to download one. 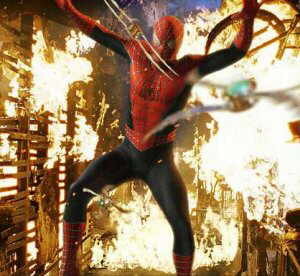 1) Where did Spidey get cut by the spinny things that Green Goblin threw at him, in "Spider-Man"? 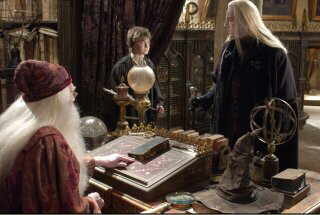 5) Who, or what, was responsible for putting Harry into Gryffindor house, in the "Harry Potter" series? 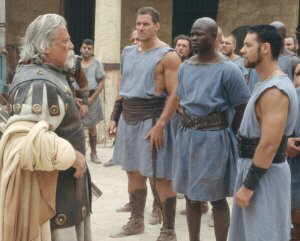 2) Which of these four "Gladiator" characters survived until the end of the flick? 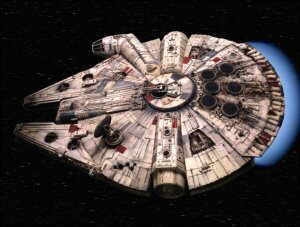 6) Where did the Millenium Falcon crunch against one of the beams inside the Death Star as it was making its' run at the end of "Return of the Jedi"? 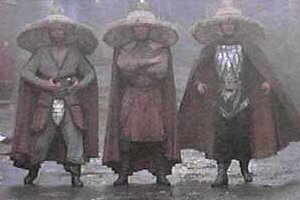 3) Which one of these three 'storms' literally blew up, in "Big Trouble in Little China"? 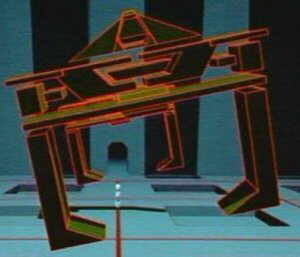 7) What part of the Recognizer that Flynn stole was physically damaged, in "Tron"? 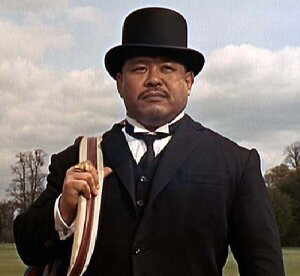 4) Which part of this gentleman's attire was a deadly weapon? 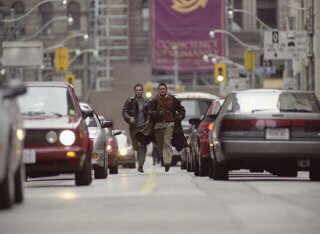 8) Who, or what, was associated with the bad guys in "Bulletproof Monk"?